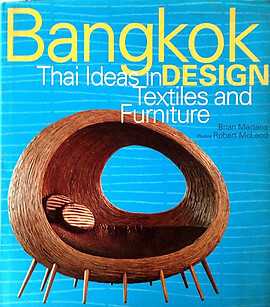 This is an introduction to the variety of modern Thai design through profiling 36 leading designers in the country. 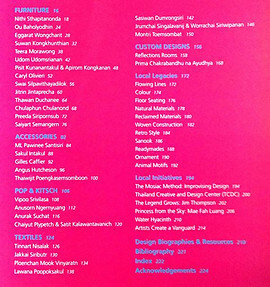 The works of each of the designers is showcased through a wealth of colour pictures and background articles by the author. 224 pages. For further details, please see the scanned contents page. Weight: 1.5kg Post free within Malaysia but will incur additional postage charges when posted elsewhere.